Wausau Region Chamber of Commerce honored Linetec with a Manufacturing Excellence Award in the category of Large Manufacturers (300+ employees). The award recognizes the company's contributions to growing the region's economy, operations, innovation, workplace culture, quality jobs, supply chain management and commitment to the region. "Linetec feels very honored to receive this award, especially considering the number of distinguished manufacturers that are based in the Wausau area," said Rick Marshall, president of Linetec. "We would like to thank the 570 employees of our company. They are the ones that drive our positive culture and our core values, enabling Linetec to perform well and consistently for our customers." 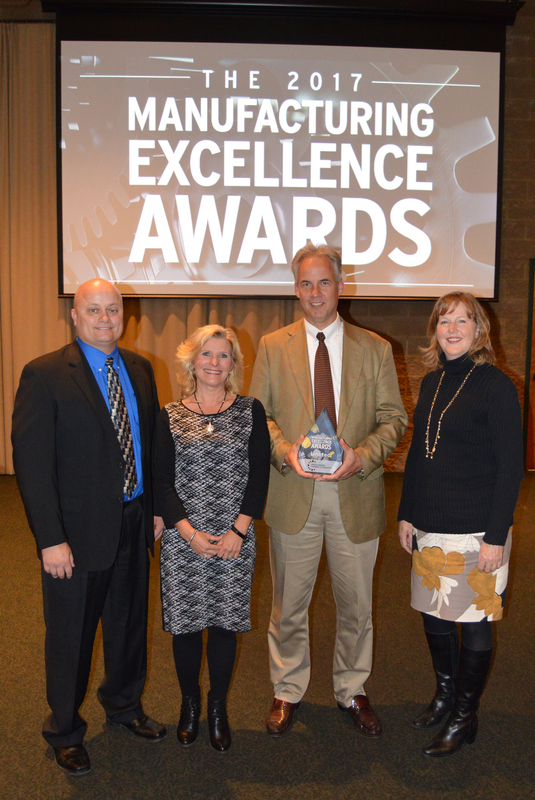 Along with Marshall, Linetec's Mike Schauls, vice president of operations; Tammy Schroeder, senior marketing specialist; and Jane Kessel, vice president of human resources; represented Linetec at the awards program on Oct. 17. The event was part of the Chamber's celebration of Manufacturing Month. For more information about Linetec, please call 888-717-1472, email sales@linetec.com or visit http://www.linetec.com.